Thanks to technological advances, the latest generation needs fewer sensors to gather the same amount of data. It's a Ford Fusion with a space-agey luggage rack and antlers! No, it's Ford's latest self-driving development car, which the company unveiled Wednesday ahead of what's expected to be a crush of autonomous competitors at the CES trade show next week in Las Vegas. That luggage rack and antlers hold state-of-the-art camera and sensor technology that Ford hopes will keep it ahead of the increasingly crowded pack. 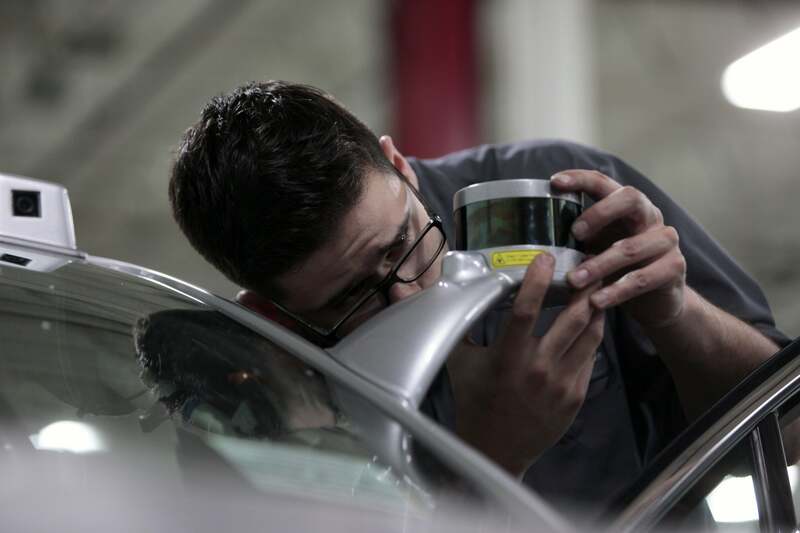 For instance, compared to the company's prior autonomous research vehicle (going on three years old), the new model has a much faster computer and more powerful LiDAR sensors. The dual LiDAR extend from the sides of the car, mounted on antlerlike arms attached on the A-pillars, above the sideview mirrors. Where the prior research vehicle needed four such sensors, the latest generation needs only two. Each provides a 360-degree view and can scan about 200 feet in every direction around the car, sensing objects' shape, position, and location. The so-called luggage racks on the roof, meanwhile, hold three cameras (a fourth nestles underneath the windshield). These cameras take in a constant stream of images showing pedestrians, objects, and traffic equipment (such as stoplights), adding another layer of information to help the car drive itself. The hardware couldn't do its job without significant upgrades to the software—the databases and algorithms that help the car interpret its environment. According to a Medium blog post by Chris Brewer, chief program engineer for Ford's Autonomous Vehicle Development, the new autonomous research vehicle can orient itself by comparing what its LiDAR, radar, and other sensors pick up against detailed 3D maps, in what Brewer called "mediated perception." In addition, the self-driving car exercises "direct perception" to interpret real-time activity, such as knowing its current location and identifying the presence of pedestrians, other vehicles, and unexpected obstacles like construction zones. Ford's latest generation of self-driving or autonomous cars has streamlined sensor technology. If this sounds like a lot of computing, you're right. Brewer says the new autonomous research cars each generate about 1TB of data per hour of driving. The self-driving car's insatiable appetite for real-time data is why Intel is trying hard to catch up with Nvidia in providing fast processor technology for these vehicles. 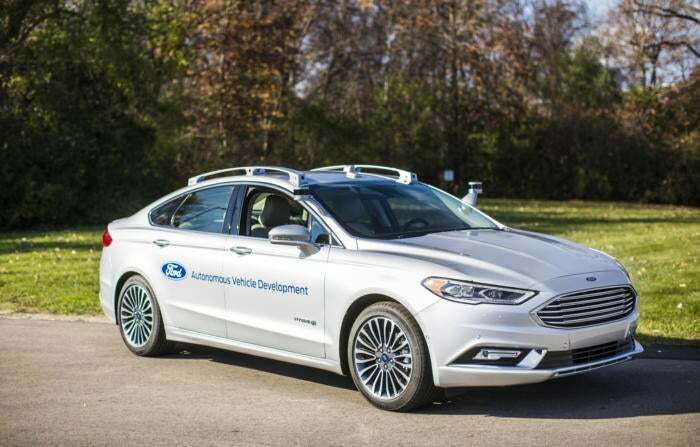 Ford will show its new autonomous research vehicles at the CES technology trade show in Las Vegas and the NAIAS automotive trade show in Detroit. The company is planning to increase its fleet of autonomous test vehicles to a total of 90 in 2017. 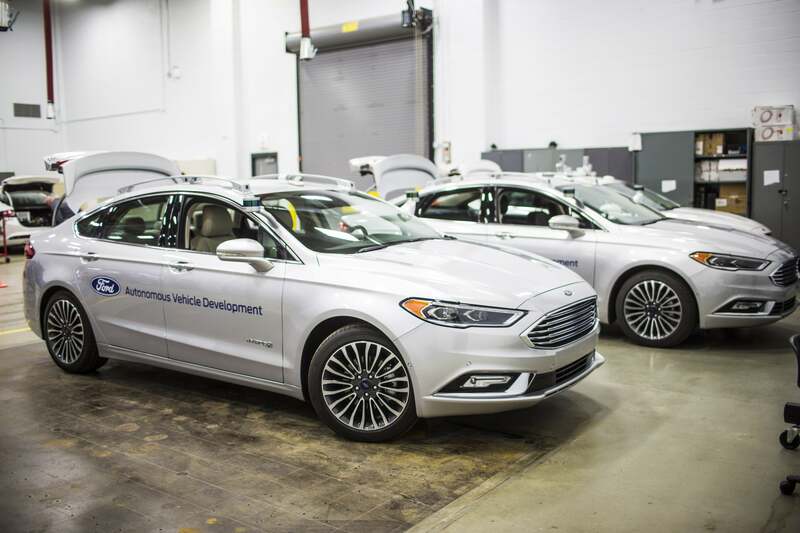 Why this matters: Ford has been a leader in developing autonomous technology and has aggressive plans to mass-produce self-driving cars by 2021. It has a lot more competition than it used to, though: Uber's self-driving cabs, Tesla's AutoPilot, and the newly christened Waymo spinoff from Google X, let alone traditional automakers. Revealing its latest test vehicle ahead of CES helps Ford stand out a bit, but the real challenge will be maintaining its pace as more companies vie for the best technology and know-how.